The mortgage industry is quickly realizing just how vital the online channel is to future growth. You could sense that from the near-standing-room-only crowd at the first-ever Digital Mortgage Conference, held last week in San Francisco. Most, if not all, of the Canadian banks had representation at the event. Yours truly was also there, scribbling down insights from the top e-lenders in the game. 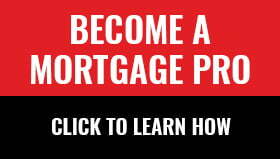 Online mortgage lenders are new to most people. Many customers fear they’ll have to go it alone. An e-mortgage company’s job is to convince them they won’t have to. For anyone interested in creating a more automated lending experience, the Digital Mortgage Conference is worth the trip. If nothing else, it’s a good reminder of how hard competitors are working to lure your customers online. Thanks Rob, it just takes my breath away when I read this piece. The future is here. End of story. As Mr. Butler says, the time is now. Most interesting to me is the client choosing speed over rate, albeit in a marginal way, but still very interesting. And Mobile being the main source of those apps. Speed and efficiency will definitely be big factors in the game moving forward. Thanks Rob for a great article. Meanwhile in Canada we have paleolithic lenders who won’t even accept e-signatures. Get with it you dinosaurs! Mark Twain put it perfectly: “The secret of getting ahead is to get started”. Go Rocket. The insight in this article is worth BILLIONS, I hope someone finally wakes up and takes the lead in Canada. How do I get the turndowns? There will be tons if the computer is processing these apps.